Without even realizing it, we make most of our decisions based on them and build our logical arguments for doing or buying something around justifying our emotions. Long-term, building familiarity with your customers is a great idea, but often you need them to buy within the next few days-to-weeks. So, how do you use mere exposure to get people comfortable enough to buy in a reasonable time frame? Retarget. When done right, retargeting is all about familiarity. Retargeting ads remind people that they are interested in what you’re selling and help them feel comfortable buying from you. Also, it is a great way to address potential concerns your customers might have during their buyer journey. If you can build familiarity while decreasing the perceived threat level of doing business with you, your potential customers will feel more comfortable buying from you than anyone else. Repurpose. Repetition and re-exposure are a fundamental part of how we learn and become comfortable with new things. If you’ve come up with a great marketing message, why not turn it into a blog post, podcast, infographic, video, slide presentation, etc.? Repurposing your content will increase the number of ways and times that people encounter your message. As a result, when they see your actual ads, they’ll instinctively resonate with your messaging. Every decision carries some sort of inherent risk and we are constantly trying to decide whether the risk is worth the reward. However, this decision isn’t a matter of pure math. Our internal risk-benefit analysis isn’t based on hard data; it’s based on the perceived risks and benefits. This same principle applies to your marketing. No matter what you’re trying to get people to do, your customers will associate some level of risk with it: loss of money, loss of time, loss of privacy, etc. Your job is to increase the perceived benefits and decrease the perceived risks so that people feel safe doing what you want them to. Social proof. People instinctively distrust marketing. However, people trust other people, so including testimonials and reviews is a great way to tilt the risk-benefit equation in your favor. You need social proof that makes people feel like giving you their money, time or information is a safe bet. Someone they trust. A similar way to decrease perceived risk is to associate yourself with a third party your audience already trusts. One of the easiest approaches is influencer marketing. Unlike testimonials, influencers advocate for your business to their loyal following. Their endorsement of your business feels far more credible and meaningful than anything you could ever say about yourself. These two tactics are just the tip of the iceberg of things you can do to influence your customer’s behavior. There are dozens of other cognitive biases that you can use in your marketing to encourage people to choose your business over the competition. 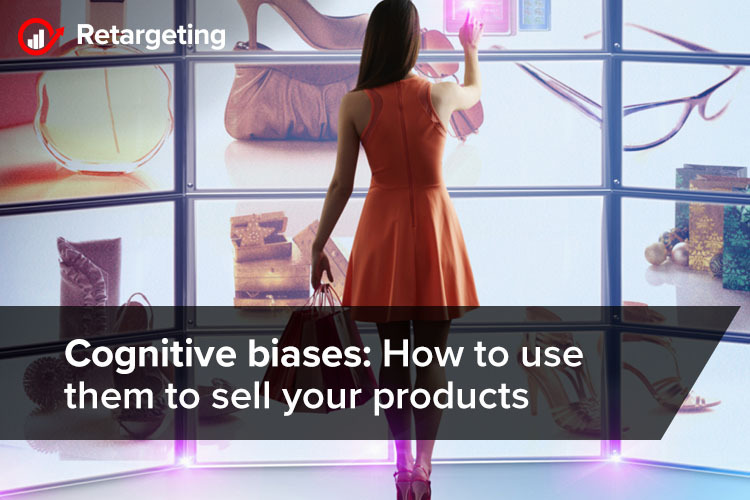 The trick is understanding how different cognitive biases play into the purchasing decisions of your target audience. Once you do, it’s usually fairly easy to influence those biases in a way that favors your business.